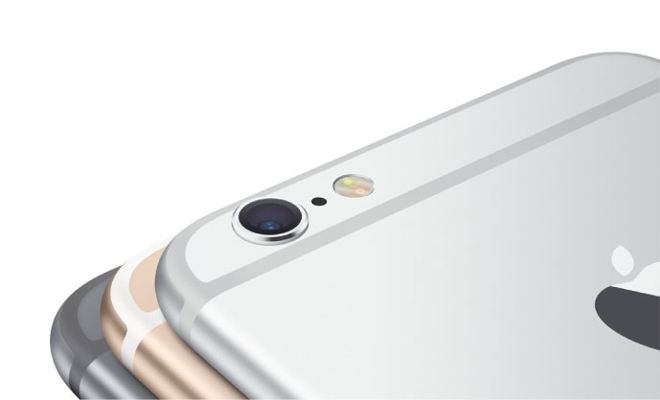 With 4 million iPhone 6 and iPhone 6 Plus units presold in their first 24 hours of availability, investors on Wall Street are increasingly optimistic about the success of Apple's next-generation handsets, with predictions for the upcoming holiday edging higher to 60 million sales in a single quarter. Apple announced on Monday that preorders for the iPhone 6 and iPhone 6 Plus reached 4 million in their first day, setting a new record for the company. It also revealed that its initial supply of launch-day units is now sold-out for preorder, though walk-up customers will be able to buy from Apple Stores and retail partners when the handsets officially launch this Friday. Apple's announcement was received favorably by Wall Street, with analysts chiming in to say they expect opening weekend sales of the iPhone 6 and 6 Plus to set a new record. Last year, Apple sold 9 million iPhone 5s and iPhone 5c units in the first three days, and analysts said Monday they believe Apple could top 10 million this time, if there is adequate supply to reach that number. The iPhone 6 will launch with a few days left in Apple's September quarter, arriving Friday in the U.S., Australia, Canada, France, Germany, Hong Kong, Japan, Puerto Rico, Singapore and the U.K. Another 20 countries will get the iPhone 6 the following Friday, placing the device in a total of 30 markets before the end of the September quarter. Analyst Rob Cihra of Evercore Partners projects that Apple will ship a total of 37 million iPhones in the September quarter, which would be a 10 percent year over year increase and a new record for that three-month period. Keith Bachman of BMO Capital Markets is slightly more conservative, at 35 million units, but admitted he sees the potential for upside in his estimates. Investors' eyes, however, are focused on Apple's December quarter, which will be the first full quarter of iPhone 6 sales. Given Monday's preorder announcement, analysts began revising their estimates for the holiday quarter upward. Gene Munster of Piper Jaffray said consensus on Wall Street currently calls for Apple to ship about 59 million iPhones in the December quarter, but the early preorder figures would suggest upside to those expectations. Cihra believes Apple will see 22 percent year over year growth in the December quarter, reaching 62 million iPhone shipments for the period. He, like many others on Wall Street, also expects to see an increase in the average selling price of the iPhone, driven by the $100 premium commanded by the new jumbo-sized iPhone 6 Plus and more value at the $299 subsidized price with 64 gigabytes of storage. Bachman also believes that the iPhone 6 Plus will cannibalize sales of Apple's 7.9-inch iPad mini, which he believes would be a positive for the company's consolidated margins. 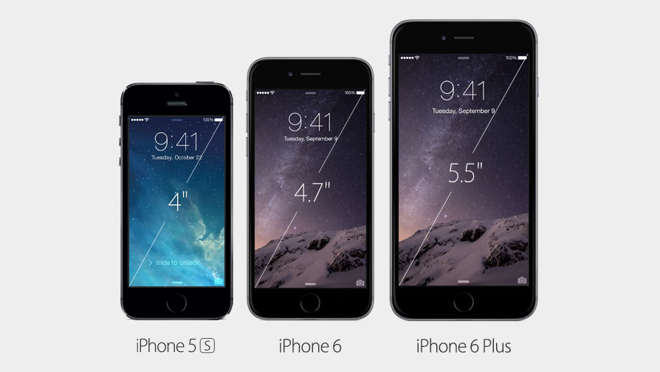 Out of contract, the iPhone 6 Plus starts at $749, compared to $399 for the iPad mini with Retina display.